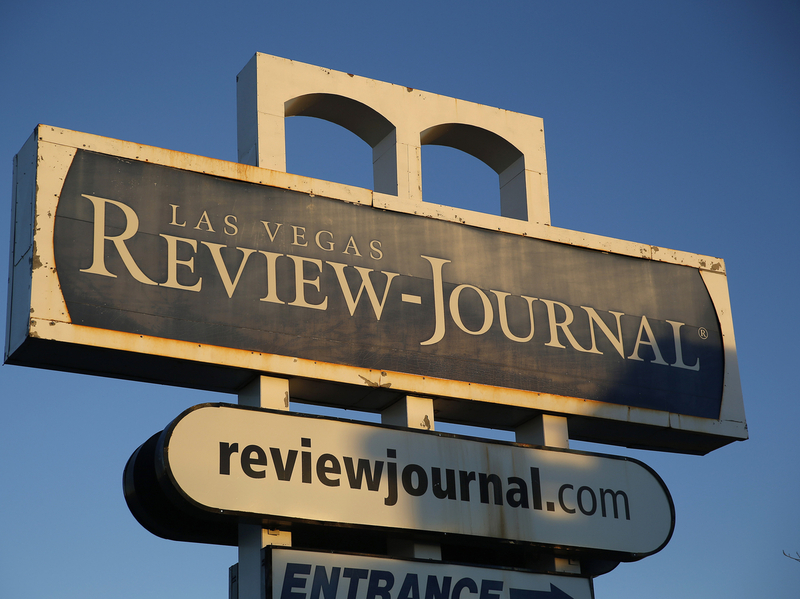 More Journalists Leaving 'Las Vegas Review-Journal' After Sale To Billionaire : The Two-Way Jennifer Robison, is the last of the three journalists who helped uncover the secret sale of the Las Vegas Review-Journal to casino magnate Sheldon Adelson to leave the newspaper. The Las Vegas Review-Journal was bought by billionaire casino mogul Sheldon Adelson late last year. With Monday's departure of reporter Jennifer Robison from the Las Vegas Review-Journal, none of the three journalists who helped uncover the secret sale of the newspaper to casino magnate Sheldon Adelson remains at the company. Robison, who took a job in communications for Pacific Gas and Electric Co. in San Francisco, left after the exits of her former colleagues, reporters Howard Stutz and James DeHaven. "The paper's reporters covered the mystery and subsequently identified the Adelsons despite the efforts of the paper's publisher to delay and soften the coverage. The paper's editor was among those who subsequently left. Promises of scrupulous disclosure of the Adelsons' interests were scaled back." DeHaven was already on his way out when the story broke, as he told CNN last year. He now works as a Montana statehouse reporter for the Helena Independent Record. "After 11 years covering the gaming industry for the Las Vegas Review-Journal, Howard Stutz has stepped down. "Stutz's tenure as a reporter and columnist in Las Vegas lasted some 30 years, with time spent with both the Las Vegas Sun and Review-Journal. "His latest tenure at the Review-Journal included covering a devastated casino industry following the Great Recession in 2008. "And, being part of the team of reporters who confirmed Sheldon Adelson's $140 million purchase of Nevada's largest newspaper." A flood of reporters and editors left the newspaper after it was bought by the Adelson family, citing curtailed editorial freedom, murky business dealings and unethical managers. As David reported in April, one veteran columnist, John L. Smith, left the paper because he couldn't write about "two of the state's biggest players, including his newspaper's new owner." "Smith had written columns for the Review-Journal for nearly three decades, with a frequent focus on Adelson, one of the most powerful figures in Nevada gambling and national Republican politics. The billionaire sued Smith for libel over a passage in a 2005 book about power players of Las Vegas. "Smith prevailed in court, but paying the fees helped bankrupt him. (NPR told that remarkable story, including a rabbi's offer of a secret $200,000 payoff from Adelson for Smith to admit libel, earlier this year.) Years later, the case has helped trigger the end of Smith's career at the Review-Journal, as his new bosses cited it as a conflict of interest. "Smith says Cook told him: 'You can't do it or you'll be fired.' "
"I believe in the power of journalism and I believe in the great reporters in the RJ newsroom — including on my own team. But as much as I love the idea of the Review-Journal, my trust in the company as an institution has died a slow death over the past five months. Its management has failed on too many occasions to live up to the standards we so rigidly hold others to on a regular basis."